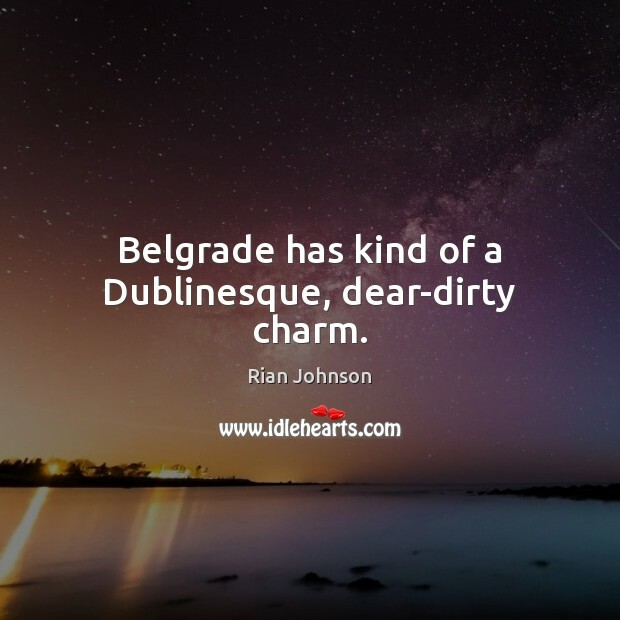 Quotations about Belgrade. Quotes to stimulate mind and drive action! Use the words and quote images to feed your brain inspiring things daily! Our government should do everything it can to ensure the successful prosecution of those responsible for the murders of U.S. citizens abroad. 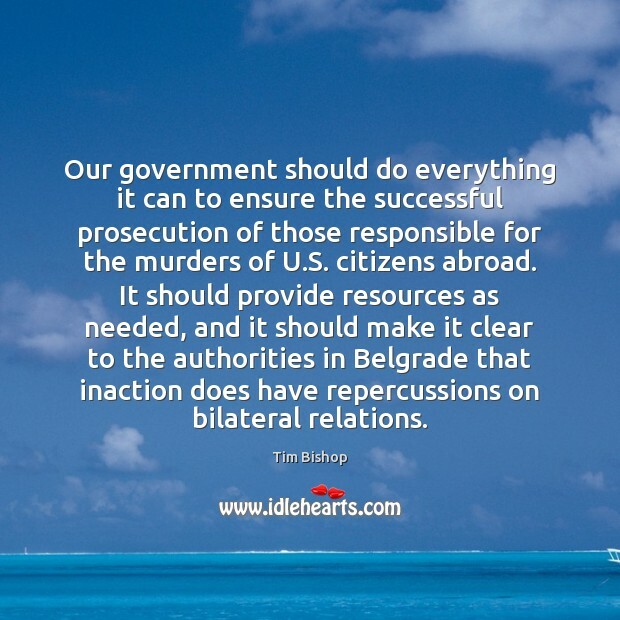 It should provide resources as needed, and it should make it clear to the authorities in Belgrade that inaction does have repercussions on bilateral relations. 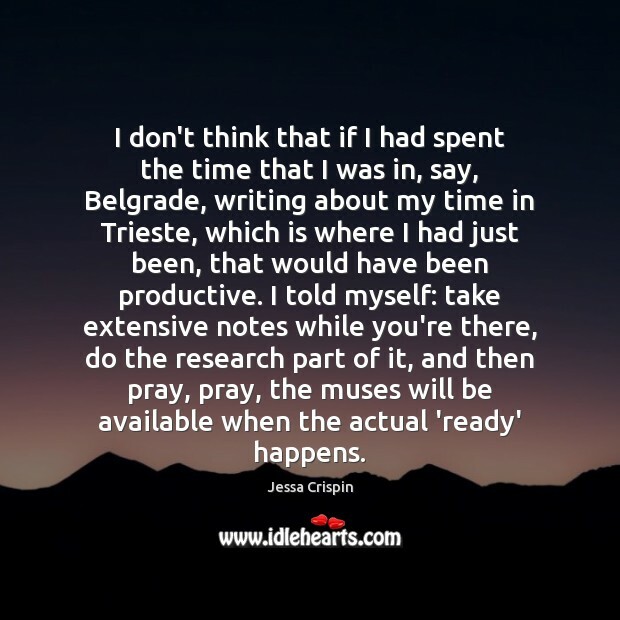 I don't think that if I had spent the time that I was in, say, Belgrade, writing about my time in Trieste, which is where I had just been, that would have been productive. I told myself: take extensive notes while you're there, do the research part of it, and then pray, pray, the muses will be available when the actual 'ready' happens. 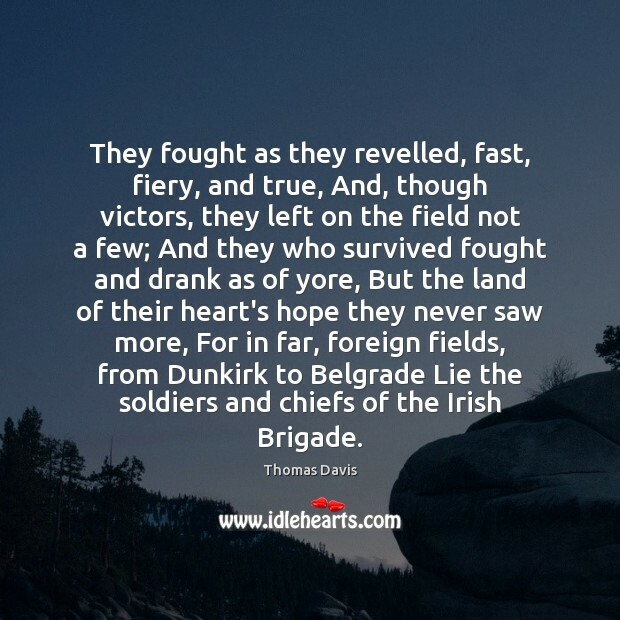 They fought as they revelled, fast, fiery, and true, And, though victors, they left on the field not a few; And they who survived fought and drank as of yore, But the land of their heart's hope they never saw more, For in far, foreign fields, from Dunkirk to Belgrade Lie the soldiers and chiefs of the Irish Brigade. 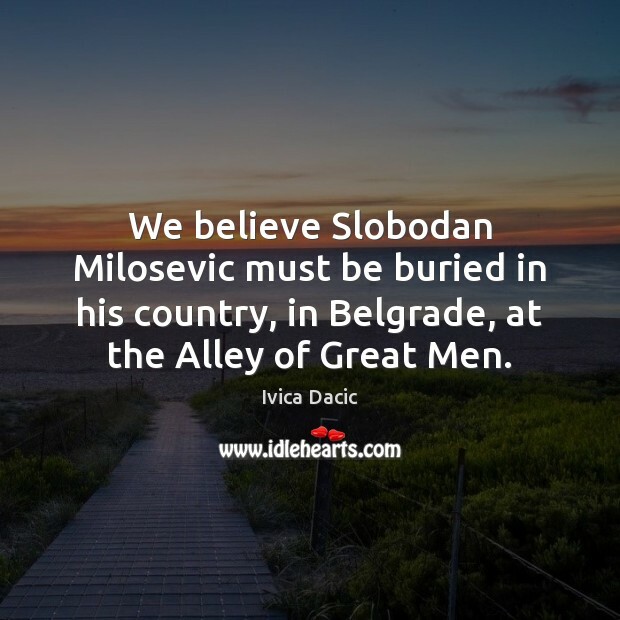 We believe Slobodan Milosevic must be buried in his country, in Belgrade, at the Alley of Great Men. I am finished with cities. 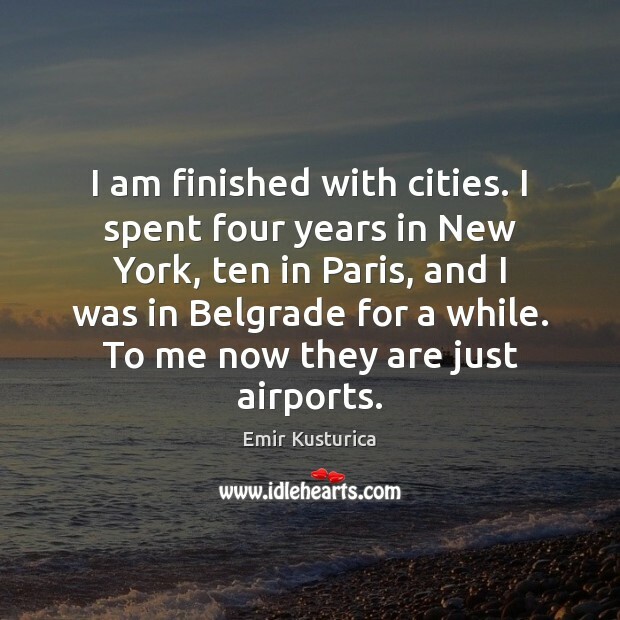 I spent four years in New York, ten in Paris, and I was in Belgrade for a while. To me now they are just airports. 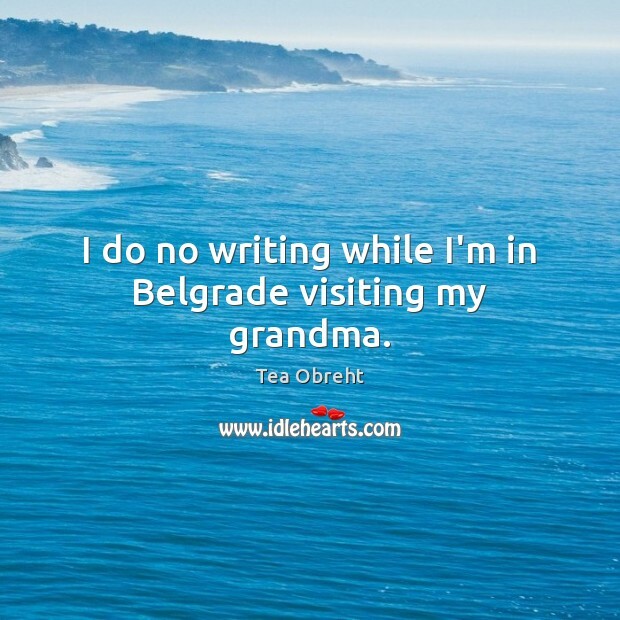 I do no writing while I'm in Belgrade visiting my grandma. 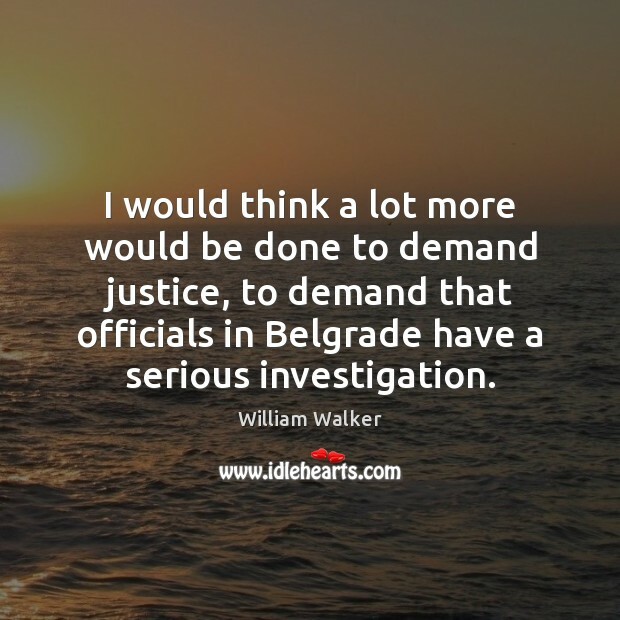 I would think a lot more would be done to demand justice, to demand that officials in Belgrade have a serious investigation. 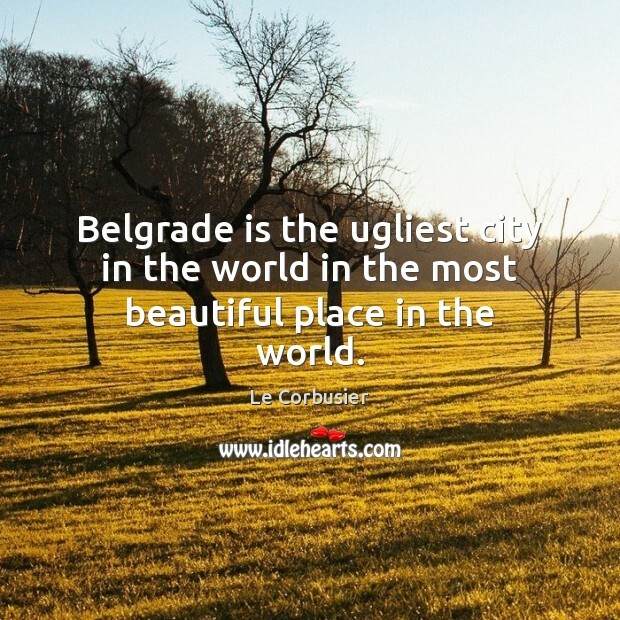 Belgrade is the ugliest city in the world in the most beautiful place in the world. 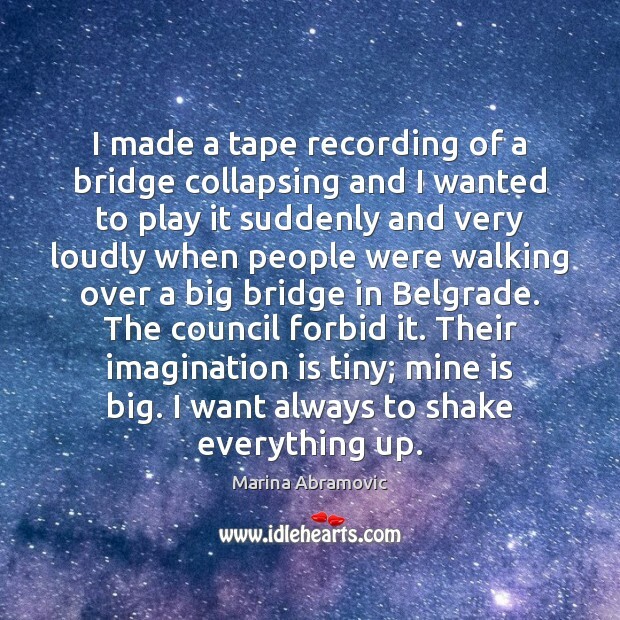 I made a tape recording of a bridge collapsing and I wanted to play it suddenly and very loudly when people were walking over a big bridge in Belgrade. The council forbid it. Their imagination is tiny; mine is big. I want always to shake everything up. 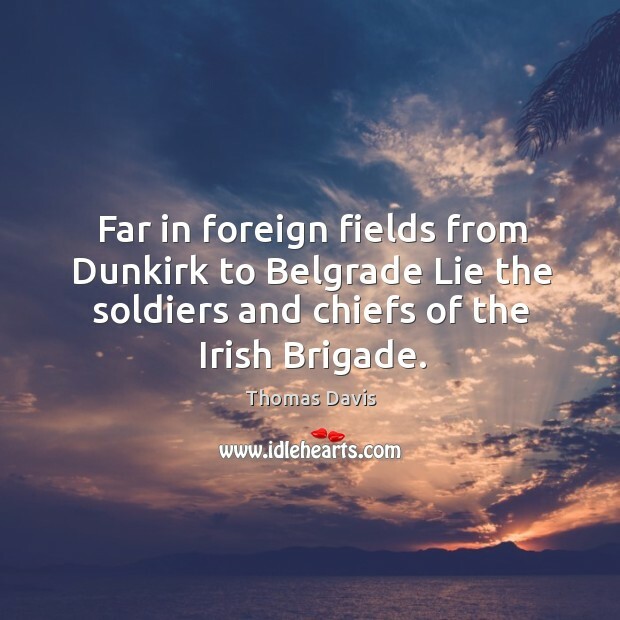 Far in foreign fields from Dunkirk to Belgrade Lie the soldiers and chiefs of the Irish Brigade.